our goal is to help you find the dress of your dreams. 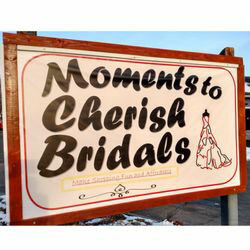 We carry various different styles and a wide range of sizes to accommodating our full-figured brides. Every wedding is as unique as the bride, and our goal is to help guide this uniqueness into the bride's perfect vision of what her wedding will look like. We strive to achieve the highest customer satisfaction and quality gowns at a reasonable price. our bridal consultants will help you find the perfect style matched with the design you envision to compliment your beauty and ensure that you look exquisite on your special day.